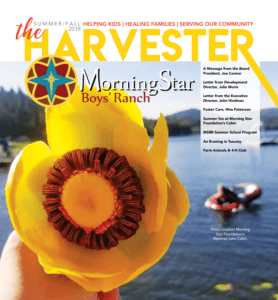 Dive in to this edition of The Harvester to find updates on our accreditation process, how we encourage our residents’ awesomeness, and what we all can do to celebrate each other’s greatness! We also share some of the fun summer activities the boys participated in, including trips to the lake cabin, summer school, and 4-H competition. Read on to find a full update on our summer and fall fun!